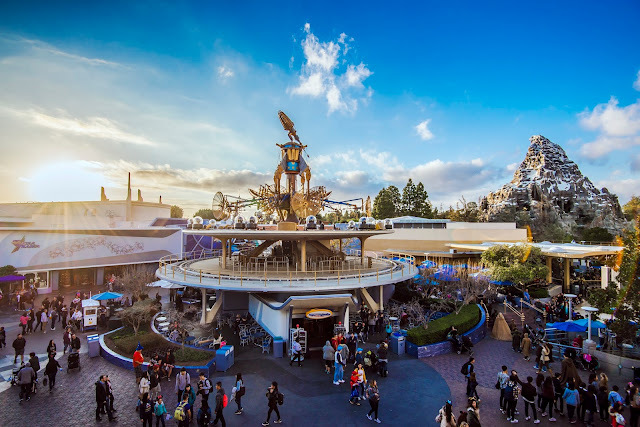 Tomorrowland represents the spirit and optimism for the future, and this is never embodied more than magic hour and sunset on a beautiful day. With those warm solar rays basking the futuristic scene, the atmosphere is ripe with an aura of romance. All the guests strolling through adds an element of dynamicism, and at this moment, the hope for a better tomorrow is never stronger. 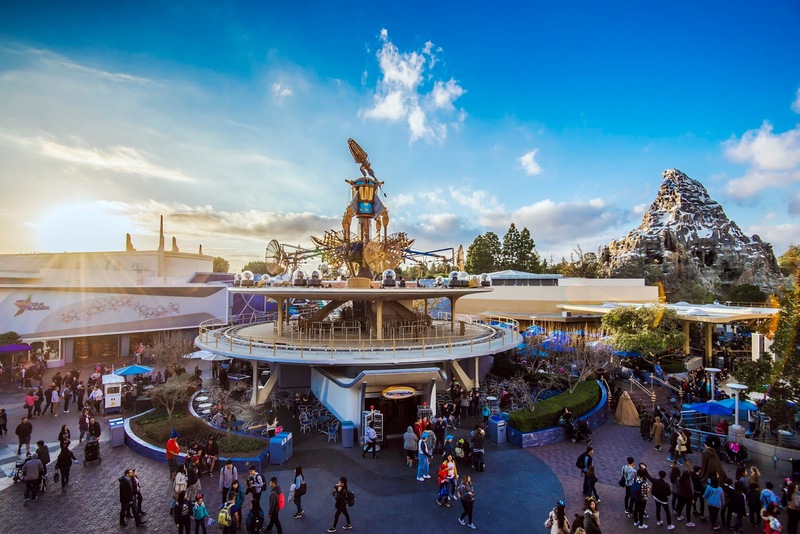 The sun sets behind the Starcade building in Tomorrowland.